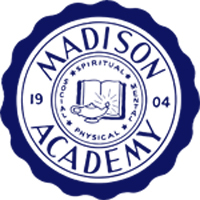 Three students were inducted into the Madison Academy chapter of the National Honor Society during this year’s Dedication Service. The new inductees were Zachary Metzler, Julianne Plank, and Abby Tishaw. Colton Taylor transferred his NHS membership into the Madison Academy chapter and participated as an active member. 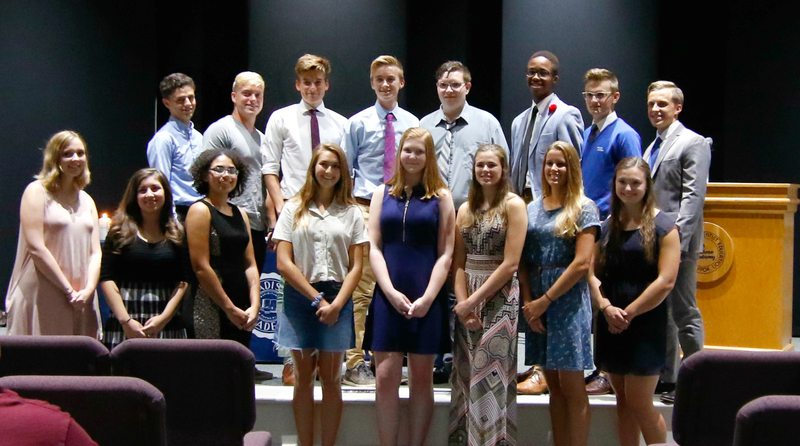 This year the total membership of the National Honor Society is 18: 13 Seniors, 4 Juniors and 1 Sophomore. The NHS has four core values: scholarship, leadership, service and character. At the beginning of the school year, students who have an accumulative GPA of 3.50 or higher are given an application to complete which is evaluated by the Faculty Council. The basis for acceptance into the NHS is demonstrated leadership, service, involvement at school and the community, work experience and any recognition or awards they received. There are four short answer questions each applicant answers on learning, leadership, strength of character and the impact of service to the one serving. Parents, family and community members showed their support of their NHS members both current and new. Pastor Chelsea Inglish from Madison Campus Church gave a short inspirational talk. She challenged everyone with the phrase, “Whatever work you do, do your best…” Ecclesiastes 9:10. She recognized that adults do not at times met that standard, however NHS members perform at a high standard not easily done during the teenage years. They are to be commended. The program finished with the new members signing their names on the National Honor Society membership book and followed with an opportunity for pictures of the entire NHS current membership. Light refreshments were shared at the conclusion of the program.